Back in December we decided to make our own “doll house prop” for fire behavior and reading smoke exercises. Initially, we were going to follow the viral plans developed by Matt Palmer and PJ Norwood (link). However, we ended up just using one 4′ X 2′ board of 1/4″ OSB from Home Depot. The prop was very simple and wasn’t sealed up well. It was built in about five minutes and that is reflected in our end results of the evolution. All in all some structures in your district may have several openings and showing signs of aging. Our “doll house” only measured approximately 2′ wide, 2′ tall, and 6″ deep. It had a roof vent point, 3 windows, 1 doorway, and channels created so that the smoke would travel from the fire compartment up, then right (following the path of least resistance). 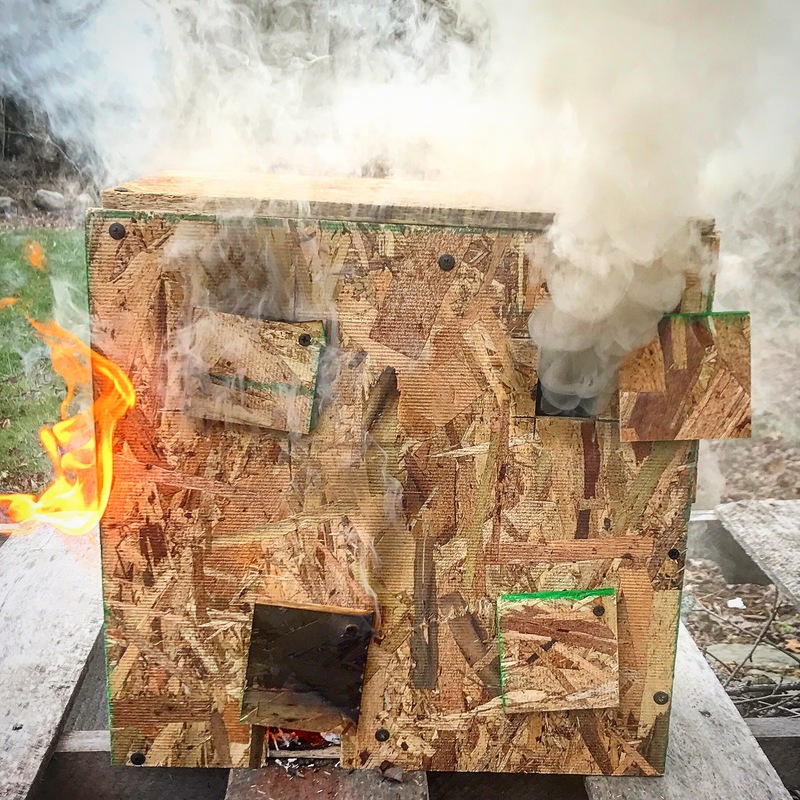 Again, due to the lack of sealing the compartments up, the smoke ended up seeping everywhere, thus causing the elements to travel quicker. The evolution took about fifteen minutes and we were able to witness several components of fire behavior/reading smoke. Stay tuned for the video clips.